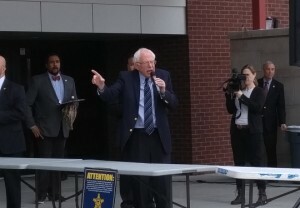 Cooper and Schlecht met with a member of Sanders’ campaign on March 3 and received brief training with other students at the VC. Cooper and Schlecht arrived at 6 a.m. and hours later the crowd stretched more than two miles close to cougar village. Cooper and Schlecht served as crowd control, making sure the crowd stayed in line and assisted handicapped attendants. Despite the 24-hour notice, thousands poured onto campus. At about 10:30 a.m. security closed the doors at the VC and the remaining thousands were turned away and filled SIUE’s gymnasium to its 4,000 seat capacity. Fortunately, the students said there were no incidents and the line went smoothly. “I was not expecting that many people,” Schlecht said. 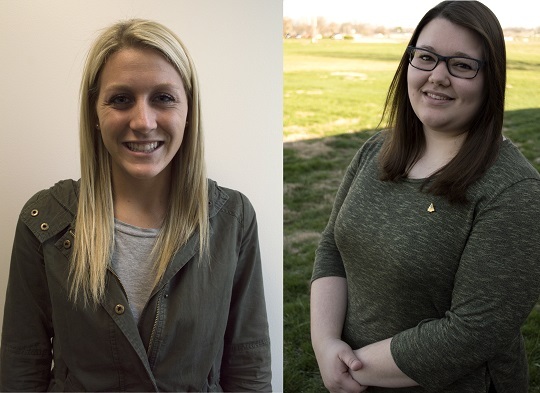 Cooper and Schlecht are both involved in student government; Schlecht is running for Student Senator of the College of Arts and Sciences. Schlecht, a criminal justice major said she supports the Senator because of his stance on social issues.